Let me preface this post by saying that I'm not trying to anger anyone... I'm just right. Last night was the AMAs. Taylor Swift (precious) took five of the six awards she was nominated for, including the prestigious Artist of the Year. She was up against Michael Jackson, Kings of Leon, Lady Gaga and Eminem. And while I was pretty stoked Taylor won, people were bashing me for disagreeing with them when they would comment about how Michael Jackson should have beat her and Beyonce should have in a different category. Personally, the only contender out of that (Artist of the Year) group is Lady Gaga. Sorry, I love Michael Jackson as much as the next person, however let's get real here: the only reason he had any major album sales were due to his death and resulting movie. I know that might sound harsh -- he is The King of Pop, after all -- but was he "the" artist of 2009? No. Is he an artist of "all time?" Of course! He had won many awards in his life, including 22 AMAs, however I think if he was still living he would have happily agreed that Taylor was a stronger competitor this year. Not to mention he did win in a male category, so his "performance" this year didn't go unnoticed. That's the great thing about music. Every year you essentially start over as an artist in terms of award shows. Who cares what you won or didn't win last year -- if you have a great album (and a spectacular fan base) then the sky is the limit for you. Even The King of Pop can lose because just because you have a title doesn't mean someone else isn't going to come along and shine. Now, I'm sure a lot of you can agree with me on that one. But the harder discussion is Lady Gaga. How can a woman who has had all four of her singles from her debut album hit #1 not be considered album, or artist rather, of the year? Well, let's start with the fact that when her album was released last August, it didn't peak. It started off with selling just a mediocre 24,000 copies. Then, because of her creative expression and catchy songs, "The Fame" started to skyrocket. "The Fame" is 4x platinum and she spent 40 non-consecutive weeks at the top of the charts, however that chart is the Billboard Top Electronic Albums. 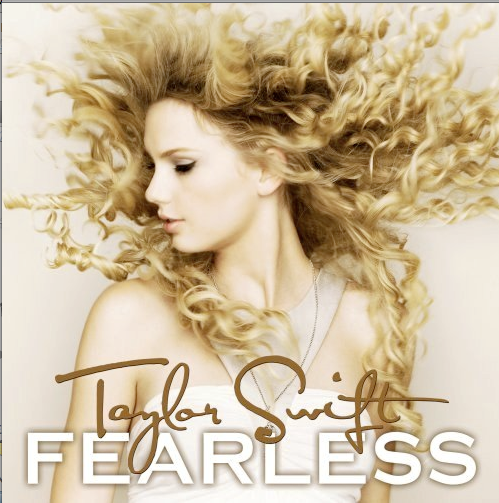 It only reached #10 on the Billboard Top 200, compared to both Beyonce whose "I AM..." debuted at #1 in it's first week with 482,000 sales and Taylor Swift's "Fearless" which also debuted at #1 with 592,304 in the first week (half of those being on the first day out) on the 200 chart. *RETRACTION: "The Fame" actually peaked at #4, not #10 on the Top 200. Still not as great as Beyonce or Taylor, sorry! The rebuttle? Well, Gaga is certified 4x platinum, while B is only 2x, however Taylor still matches her at 4x platinum (in the U.S.). Taylor also is breaking barriers with country music this year. In July, Yahoo named "Fearless" the top selling album for the first half of 2009 and earlier this month she set a record for having the most singles simultaneously on the Top 100 (with eight) from her re-release of "Fearless." Lest it be known that "The Fame," "I AM... SASHA FIERCE" and "Fearless" are each critically acclaimed albums. However I think a lot of people are trying make a point on the fact that Beyonce is the new diva, the new "it" woman who can do no wrong. Listen, Beyonce is doing her thing and we all love it, however making an awesome video doesn't mean she's had the best year (that's why she won Best Video of the Year at the VMAs). Gaga is still considered a new artist, having debuted August of '08, and while I see her as charismatic, creative and an overall genius, a lot of people see her as weird, sacrilegious and odd. Why does this matter? It all comes down to the fans -- the people who buy the albums, create the sales, and in this case vote on the awards and how many of those people you have standing behind you. No matter which way you look at it, in terms sales or fans, Taylor Swift is in a league of her own. This coming from a woman who can shamon with the best of them, dressed up as Lady Gaga for Halloween and can perform the whole "Single Ladies" dance on a whim.